Former U.S. Vice President and environmental activist Al Gore spoke on topics ranging from Common Sense to Citizens United on Monday evening at a talk sponsored by the Institute of Politics (IOP) and hosted by the Chicago Theological Seminary. The event took place in the Seminary chapel. The LEED (Leadership in Energy and Environmental Design) gold-certified environmentally friendly building was a fitting location for Gore’s message calling for citizens to join the fight against the money tainting politics and the fight against climate change. The event started with a speech by Gore and ended with a Q&A session led by IOP Executive Director David Axelrod (A.B. ’76), who read from preselected questions posed by people on Twitter. With the stained glass of the chapel windows in view, at times Gore’s voice took on the tone of a preacher, warning against the perils of global warming, but more so about the consequences that may come if nothing is done to prevent it. 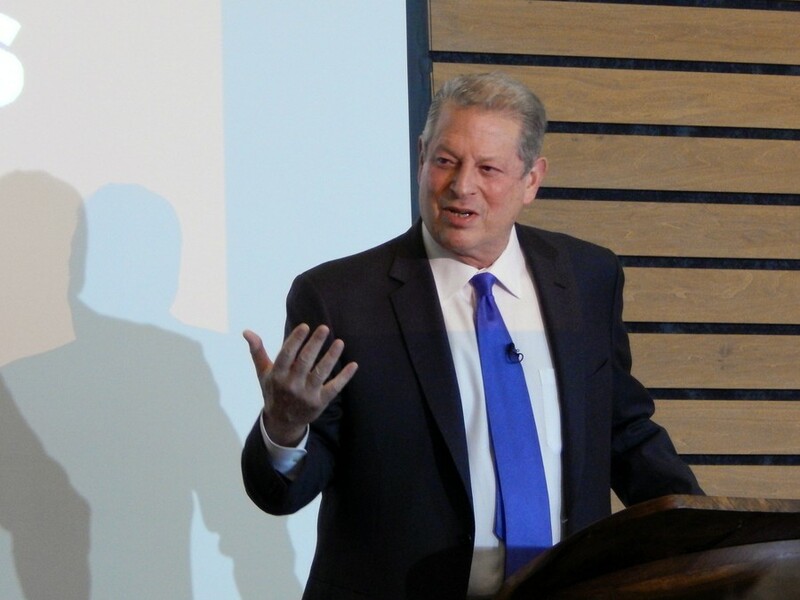 Though the main focus of his talk was climate change, Gore highlighted the political climate as a roadblock to confronting change in the environmental climate. He criticized the Citizens United decision of the Supreme Court—“with whose decisions I don’t always agree,” he noted—as an “obscene” transgression against the United States’s democracy. Gore pointed out several solutions on the local and national level, including steps the Environmental Protection Agency is taking in its coal policy and the decision by Stanford University to divest from its investments in coal.